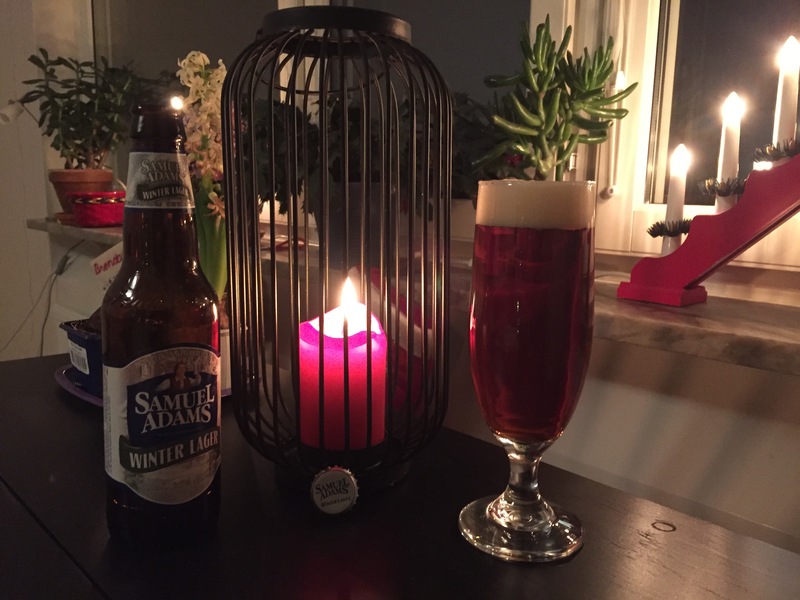 Samuel Adams Winter Lager has a small white head that disappeared quickly and a clear amber colour to the body. The lager has a lightly fruity nose and the flavour has a sweet berry character to it. 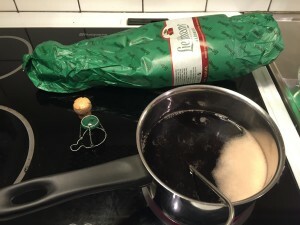 The body is light and the carbonation is medium-high. 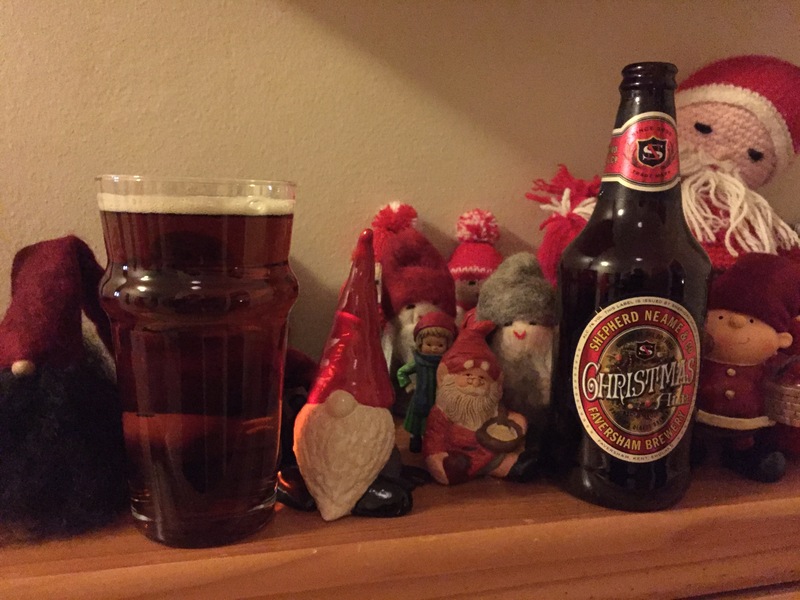 Rating: 3.25 / 5 – Extremely sweet for a lager, nice and not too tough to drink but doesn’t stand out in any way, probably wouldn’t buy again. 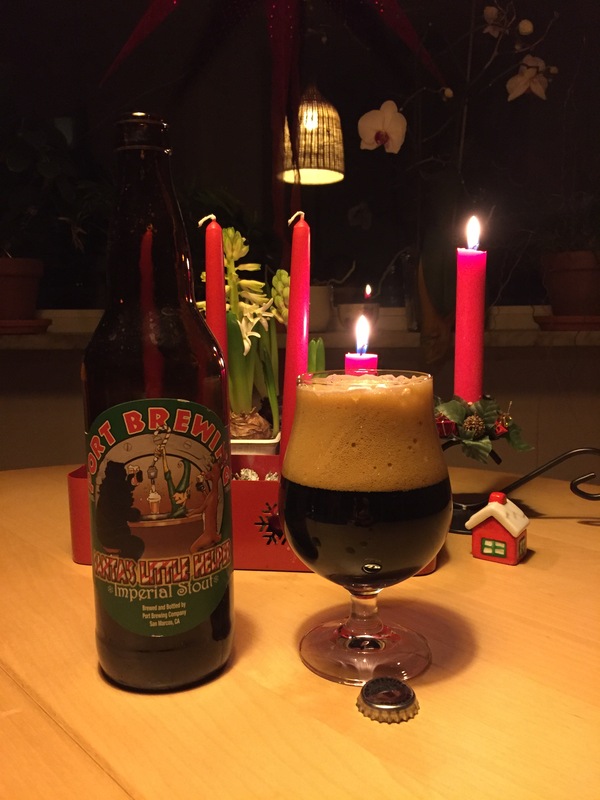 Santa’s Little Helper by Port Brewing has a deep coffee brown head and the body is black. 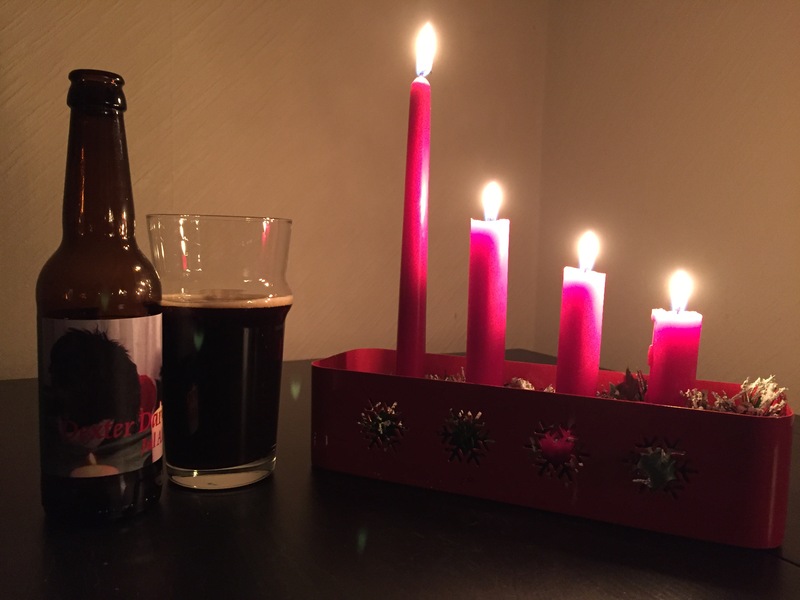 The aroma is chocolate and toffee with hints of coffee and roasted character. The flavour contains all of what you find in the aroma but has more of the roasted character, balancing out a sweet backbone to the beer. 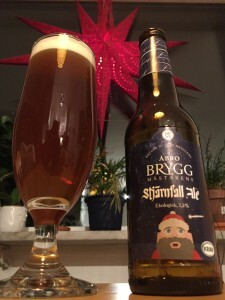 Despite the high ABV, the alcohol is not noticeable at all in this beer. 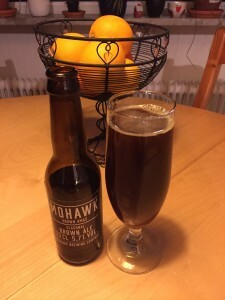 The mouthfeel is thick and velvety and the carbonation is medium, possibly edging towards low. 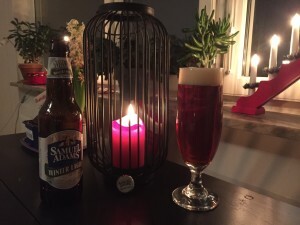 Rating: 4.5 / 5 – Excellent beer, lots of everything I love in one. With the large bottle though, should have waited and shared it with somebody else. 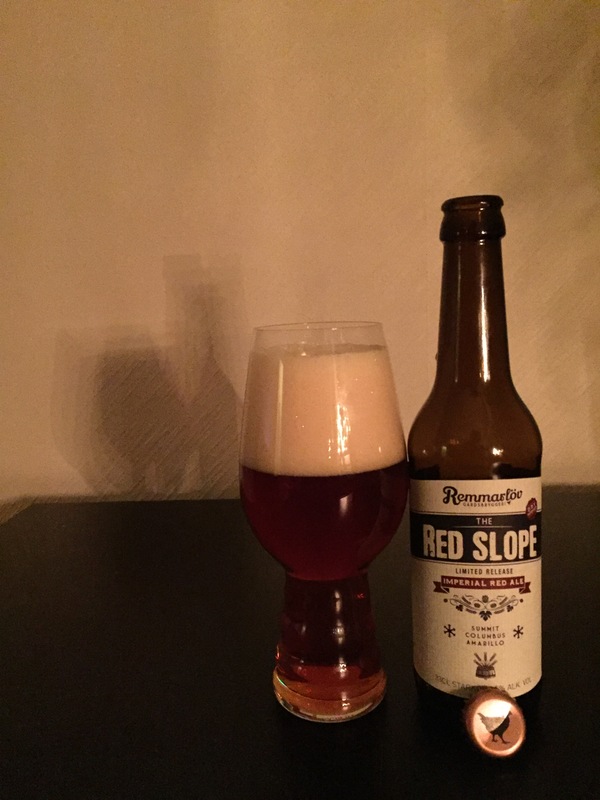 The Red Slope Imperial Red Ale by Remmarlöv Gårdsbryggeri has a large white head that lasted a little while before dying down and a reddish amber colour to the body. The aroma is a massive hit of fruit with some citrus and melon and hints of berries in it. The flavour is sweet with a powerful astringent bitterness in the end that lingers. 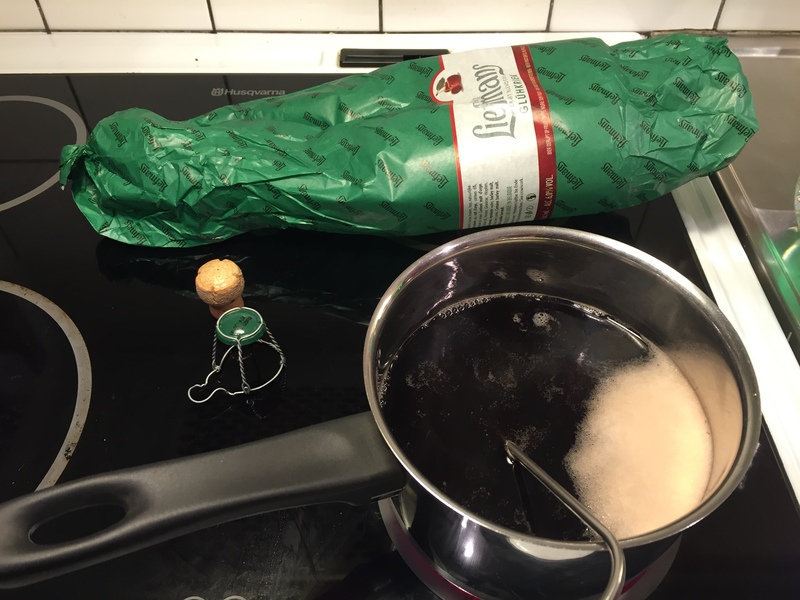 The body is medium and the carbonation is medium-high. Rating: 3 / 5 – Disappointed by this one, the aroma is fantastic but the bitterness is very unpleasant and clashes with the sweetness too much instead of balancing it. Also disappointed by how not-red the colour is. Åbro Brygg’s Stjärnfall Ale has a small white head that fades quickly and is amber, slightly orange in colour. 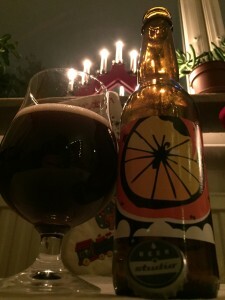 The aroma is lightly fruity but fairly weak in general and the flavour is bitter with some sulfur and a hint of apple juice. The carbonation is medium and the body is medium-light. Rating: 2.5 / 5 – Very little appealing about this beer. The flavours clash and the apple juice sweetness is unpleasant.